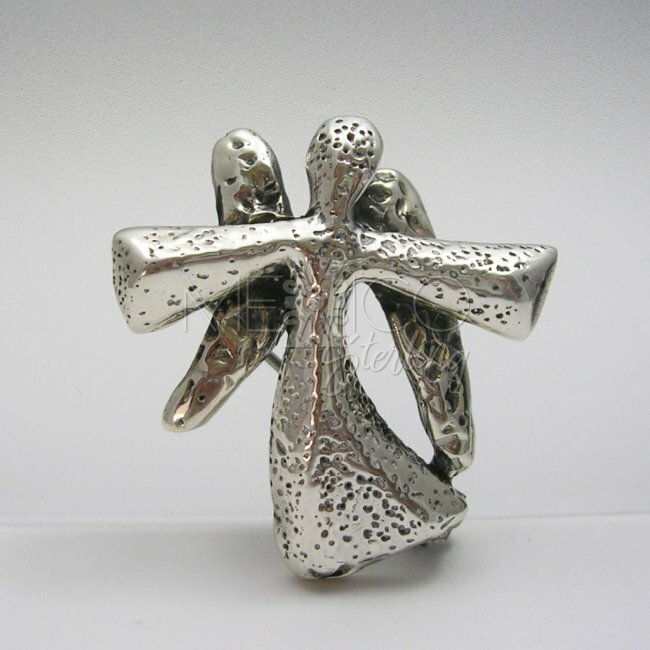 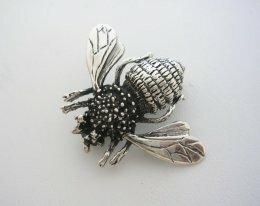 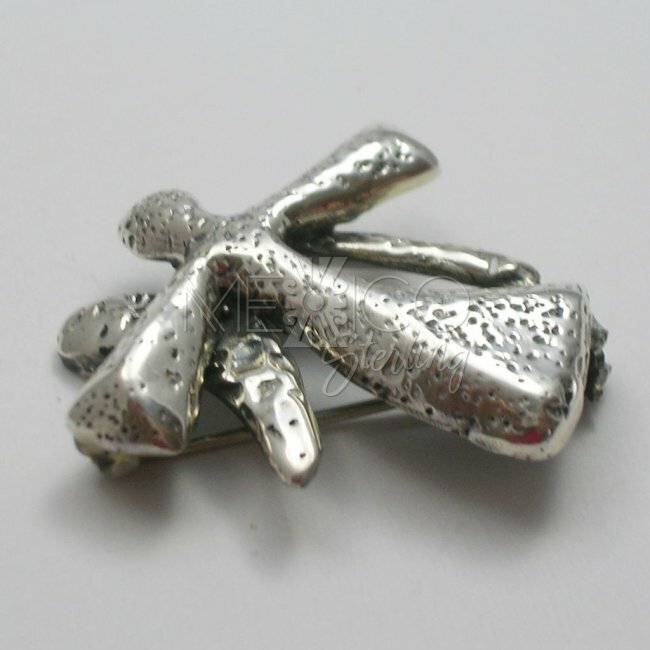 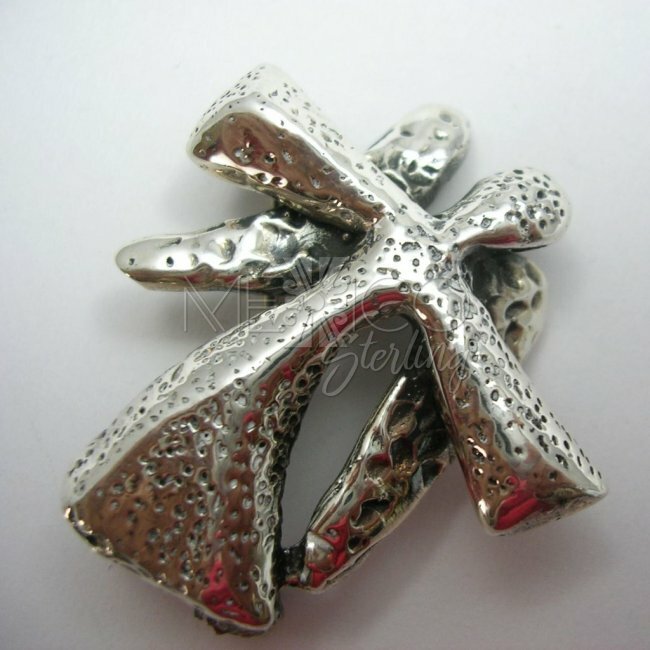 Solid Sterling Silver Angel Brooch - $32.00 : Mexico Sterling Silver Jewelry, Proundly from Mexico to the world. 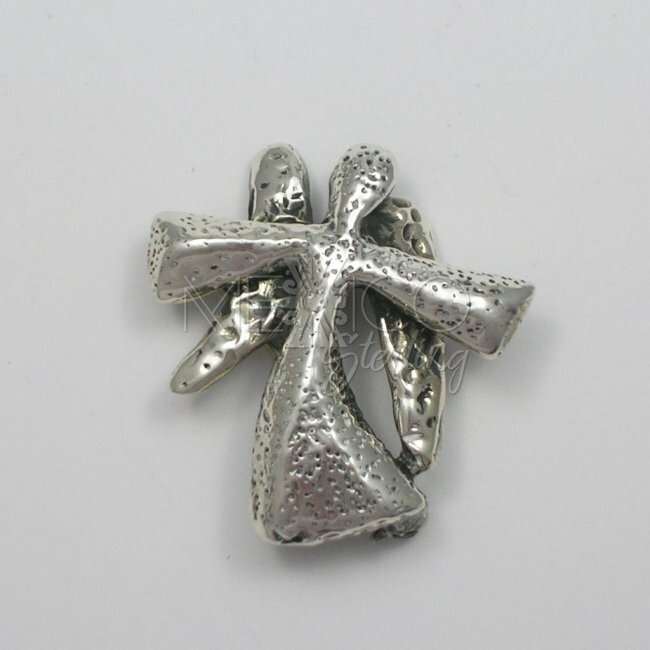 Dimensions: Width : 1 1/4" Length : 1 3/8"
This is such a charming piece that carries just a couple interesting features that make it a very attractive piece of jewelry. 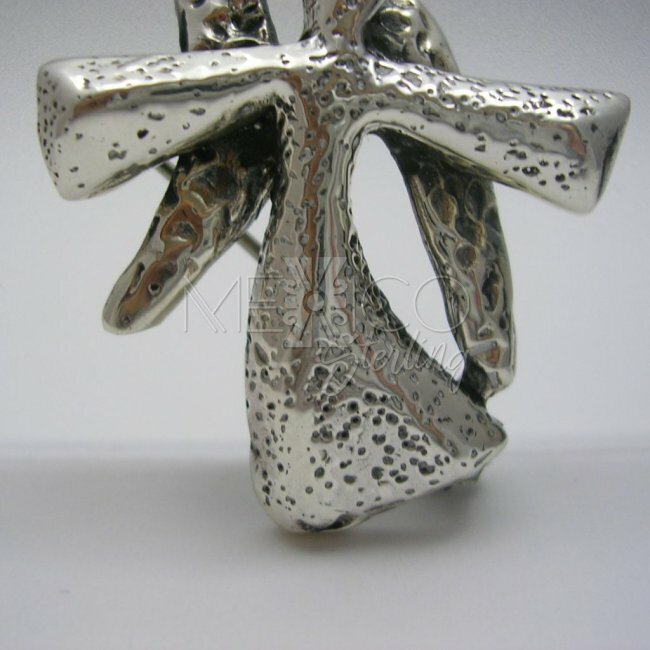 It's an interesting composition because it looks like a cross converting into an angel. 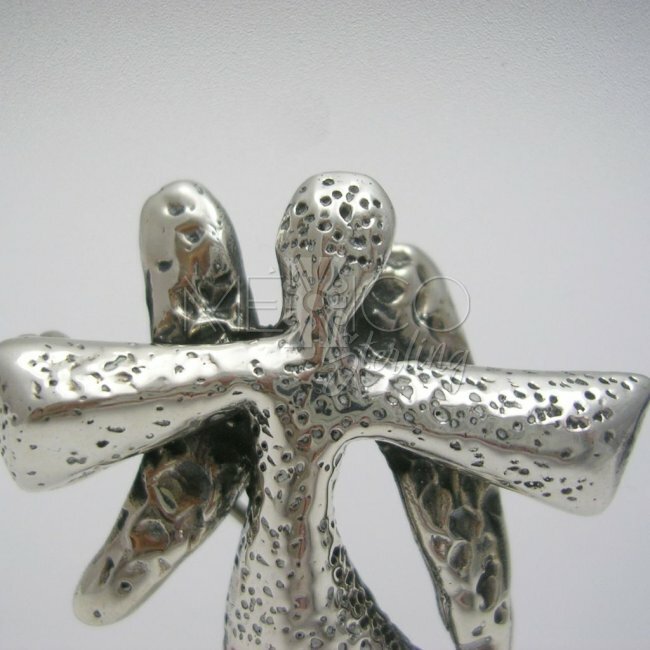 It also carries a different texture in the body and wings, giving it a sense of depth that helps focus your eyes and see exactly what the figure is, so it has a wonderful eye effect. 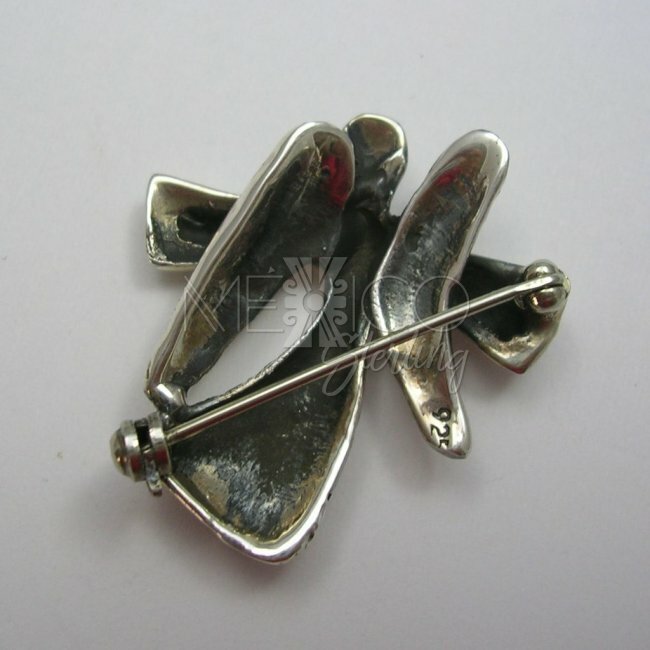 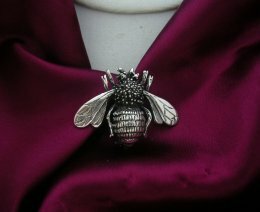 This silver brooch is substantial in weight for its size, it is a completely handmade silver piece, crafted with excellent workmanship and beautifully finished.